TikTok, formerly known as Musical.ly up until November 2017 by a lot of people, is testing ads in their app which is seeing huge download numbers and increasing usage statistics. This could potentially be the biggest development for digital marketers in recent years… Or it could flop completely. It’s up to you to decide whether to invest in advertising on TikTok, and time is running out of you want to be one of the first to do it. TikTok’s origins started in China, under the name of ‘Douyin’, which was launched in September 2016. Chinese company ByteDance acquired the old Musical.ly app and rebranded it as TikTok. Musical.ly was a huge success in its own right, reaching the milestone of 100 million active monthly users before the rebrand. 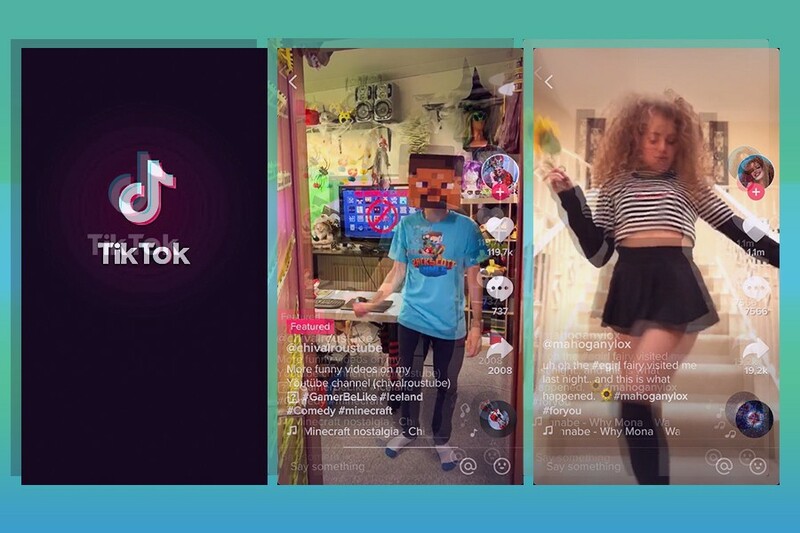 TikTok has taken the platform and ran with it, smashing previous usage statistics out the park and is fast becoming the most popular social app in the world. Speaking of Vine, what happened to it? It was a hugely successful platform, but ultimately it failed to really generate money and keep up with competitors. Vine allowed users to create 6-second videos which were played on loop. The top creators themselves became hugely successful, made a load of money and went on to have successful careers on other platforms from the back of their Vine following. Logan Paul for example reportedly got paid $200,000 to create a single Vine for a brand and has now gone on to become a successful YouTuber. Vine itself went down a different road. They failed to monetise through ads and didn’t keep up with competition. Instagram for example added short videos and Snapchat grew exponentially leaving Vine behind with a lot of their users preferring to post their content on other platforms. Will the same happen to TikTok? Well, I don’t know. I’m not trying to predict the future or try sound like some sort of prophet here. What I do know is TikTok has a huge user base and they are introducing paid ads to make their business more profitable than Vine at least. This hints towards them planning to stay around for a while. They also have a fair bit of financial backing behind them, so they should have the infrastructure in place to react to the ever-changing world of social media. Why you should take note of TikTok! · Most downloaded app on the Apple Store during the first quarter of 2018. It goes without saying, the potential is huge. As a comparison, Instagram currently has 1 billion monthly active users and Snapchat has 300 million, so TikTok is somewhere between the two. The key here though is that TikTok is continuing to grow and has grown very rapidly, so it could well catch up to Instagram. As an interesting side note, the video posted above, which took about 5 minutes to create and has no reasoning behind it whatsoever, was posted by an account which had 6 followers. The video reached 1,300 views in 24 hours and received one comment. Compare that to an account on Instagram which would have 6 followers, the video would receive nowhere near 1.3k views. So clearly, the audience and potential of viewership on TikTok beats current rivals rather handily. Judging by the views on my video, organic ads posted on TikTok could do really well. The great thing is, no one is expecting professional videos on TikTok, in fact the point is the opposite. The more amateurish, choppy and completely random the better! Therefore, it won’t use up a lot of resources to create content. As far as I’m aware, TikTok hasn’t commented or released any data on the advertisement testing, but the signs are they are going ahead with in-app advertisements. Users have said the ad from GrubHub wasn’t creative enough for the TikTok platform, so if you are thinking of becoming one of the first paid advertisers, now is a great opportunity to become creative pioneers. You could become the first viral paid ad campaign on the quickest growing digital platform, which would be priceless for your brand.